What's On My Mind is HERE! What's On My Mind- YES!!! I am just waiting on the mastering. Mastering is a mystery to me. But-- I can't let you hear the music until it is mastered. I was excited about the first record because it was my first. 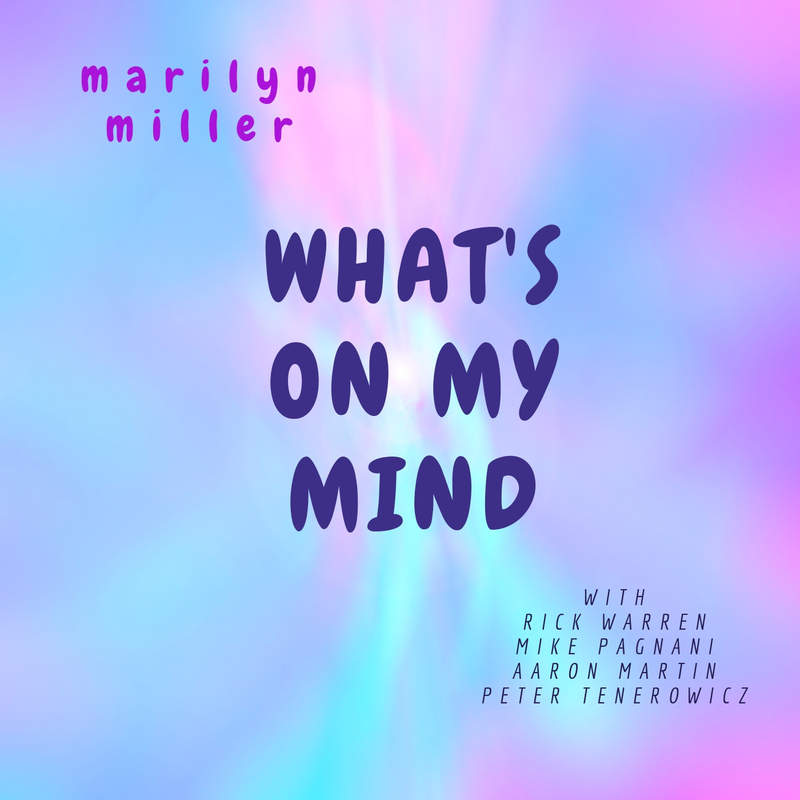 This time, I can say I am EXCITED about 'What's On My Mind' because I am very proud of it. I am proud of the sounds and very thankful to all the people who contributed to those sounds... Mixed and Mastered by Mark Dann. Recorded by Ted Orr at Sertso Studio. Then, keeping the beat for us on drums, the wonderful Peter Tenerowicz. Stepping in, the 'New Guy' to the process, versatile Aaron Martin, on bass. And then, there is the 'If it has strings or keys, sure, I can play it' guy, on violin, Mike Pagnani. Finally, Guitar Wizard, Rick Warren, sending us guitar oriented folks to the heavens and back. I can't wait for you to hear how these men put their own marks on my songs. How the guitar and violin weave a tapestry of sound while the drums set the heartbeat and the bass provides this fascinating grounding..... Then there is the recording, mixing, and mastering, which brings the sounds together to best advantage. This record has taken years, literally years, to be realized. Most of the songs were written a few years ago when my life was in turmoil. I discovered that many of the things that I thought were real, were actually just my imagination. I found out that I had wanted to see the people in my life in a certain way, but they were not that way. It was a jarring time, one of doubting my very understanding of life. PLEASE sign up to get the email! I will be sending a track out to everyone who does that, as a thank you for letting me send you email updates on the record, my shows and other musical details. NO SPAM. Use the form there -------> in the column at the top. If you have been reading this blog for a while, you have seen me write about learning music and performance skills. Thoughts about practice. Particular performances. Life changing events. Recording records. Pretty much anything having to do with my musical life and some things that had nothing to do with music. I have three main projects now.... Rick and Marilyn, my acousto-electric duo with Rick Warren. Beer-Stained Fiddle, a bluegrass/newgrass assemble. Of course, Hudson Busk. And, as often as it can happen, singing with Betsi Krisniski. Ok, that is four... but Hudson Busk is part BSF and part Betsi and me. The project I work hardest on is Rick and Marilyn. Gig-getting and promo and keeping websites up to date and all that tend to gobble up my time. SO the point of this post (is there really a point?) --I will be 'marketing' to some of you. (Don't you dislike that word? I do- almost as badly as disliking 'promotion') So, I ask you-- Let me know when it is not welcome. Let me know what you particularly like (that helps plan in the future). Let me know anything you think will help me on my journey. Last week, I started recording for my second record, laying down the 'scratch tracks'. That means, you put on headphones that have a click track, and the engineer records the music you make on your instrument and with your voice. I was pretty nervous about it. I had not met my engineer, but he came HIGHLY recommended by Rick Warren, who you might recognize as my partner in music making! But I was still nervous. What if he doesn't like what I do? What if I can't sing to the dreaded click track? When I was practicing, I had a real hard time playing to the click track in my tablet program, which upset me quite a bit. I have always been pretty proud of my ability to keep a beat... that is one of my strongest skills. Or was. I was pretty devastated that I was having so many problems with some pretty simple songs. Until I took the advice of Peter, the drummer, who reminded me that the click track would be fed to my ears through the headphones... ah YES!!! And when I did that, with the metronome, not the little click track in my tablet program, I was perfectly able to follow that noise that makes you want to scream STOP!! But I didn't do it. I also was not perfect at following the click, but I certainly did ok. This weekend, on Sunday, Rick, Peter and Aaron came to my house for what is likely the last time we will rehearse as a group. I have to say, I really think the guys are nailing the songs and the feelings behind the songs. I really love that they seem to like what they are doing, and I very much appreciated Peters assessment of the record as being songs that use a variety of sounds and styles.... yes, that is always what i am looking to do. I very much do NOT want to sound all the same, like Jack Johnson. I want a little folk, a little blues, a little rock. I really thing that is also one of my strong points... my songs stand alone. I read some motivational writers, and a strong message is, SHOW UP. It really is the first step in absolutely every endeavor you can undertake. SHOW UP. It is so important. I find that if I show up, and ignore distractions (turn off facebook), automatically, *something* gets done. Yep, I do have a To-Do List (Google Keep) and a goal list (Habit Bull). I also track projects (Trello) such as gig searching, show planning and even yard maintenance! And what would I do without Google Calender and Reverbnation widgets!!! If you don't know me, you likely think I am SO ORGANIZED. Those that know me, well... they can tell you. But... SHOW UP. Show up first to plan. I want to learn my fretboard and leave behind my status as a First Position Queen. I would love to be able to add some harp to my own songs. I want to write more. There are so many good cover songs out there to learn. Walk two miles every day. If I don't show up, none of these things can happen. So I show up. And I still procrastinate. As a matter of fact, PLANNING can be a BIG way to procrastinate. So, I am adding JUST KEEP MOVING to the SHOW UP strategy. For example, I find scales to be a terribly boring activity. I only want to practice the same song maybe twice. After about an hour of trying to find a rhyme that works and expresses, I am fried. I don't have enough air to blow more than a couple songs on the harp. Maybe it won't fit you, but if you think about it, maybe you can come up with a strategy that will help YOU show up!! Ok, enough time 'blogging', time to go do some vocal practice!! Thanks to WGXC and Tom Roe, I have this complete version of my song, Something We Can Do. But even more.... talk to each other in love, forget hate. This year, I stayed home... and marched right here in Hudson NY with several thousand other folks.... yeah, in tiny little Hudson. I was asked to Busk prior to the rally, in 7th Street Park. My new performance mantra.... be responsible for your own sound. This time I brought my amp and complete rig... but I never asked where they would be setting up, so I didn't have electricity... so much for being completely self contained, LOL!!!! But eventually, the folks setting up the sound for the rally arrived and I plugged in my rig, and started to sing. I planned to sing some familiar songs, some unfamiliar songs and a couple of my own originals. The folks I sang to, sang right back at me at every opportunity!!! YES!! Pete Seeger, one of my heros, would have been happy. I was even given a crowd tape that proves my audience had harmony as well as smiles, wonderful signs, and good will!!! Thank you! Hi! 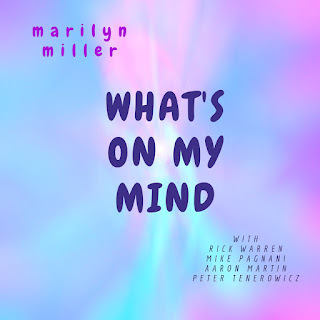 I am Marilyn, a folk/rock singer/songwriter in Hudson, NY. This is my personal website/ blog/ calendar, and you will find here all kinds of things about my musical life. Look around! Come on out to a show, ask about playing at your venue or party, watch a video or visit the store. In any event, make music a part of your life. c. Marilyn Miller, all rights reserved. Watermark theme. Powered by Blogger.